Yesterday I was lucky enough to attend Paul Harries’ latest photography exhibition. To celebrate the launch of his new collection of photos, titled ‘Slipknot: Dysfunctional Family Portraits’ the Strand Gallery is displaying Harries’ work from 6th – 17th May. 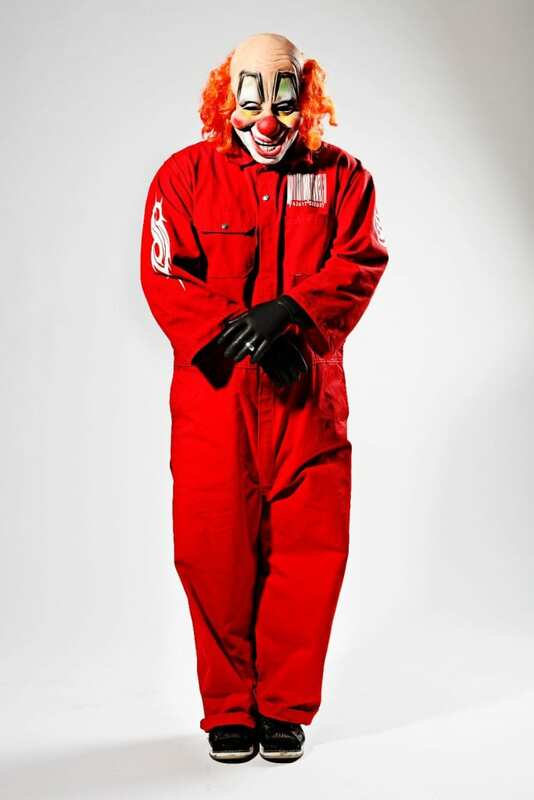 As a long-time fan of Slipknot’s music and regular reader of Kerrang! Magazine (to whom Harries is a regular contributor) it was an absolute pleasure to view these striking images up close. 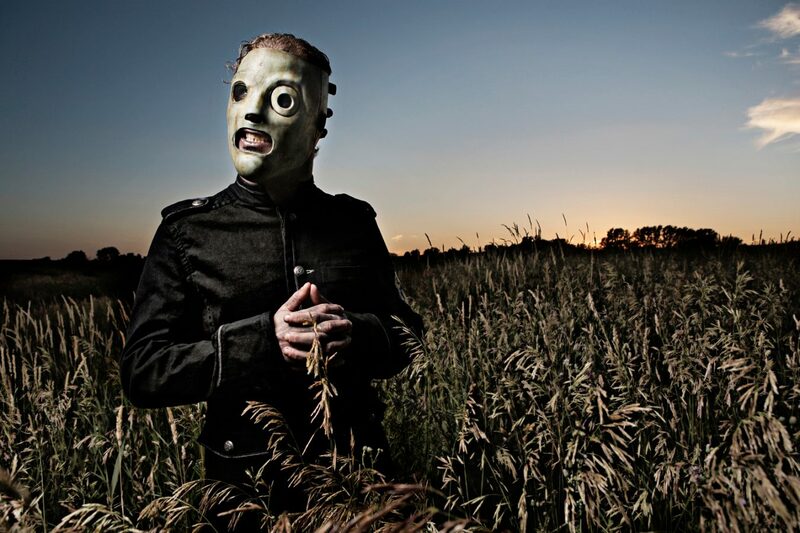 Slipknot are a band with a storied history, and Paul has been there at every evolution. From the vibrant orange jumpsuits and carnival masks of their first iteration, to the darker ‘All Hope Is Gone’ years, right through to their present form, each photo in the collection gives an insight into the artistry of the world’s biggest cult band. 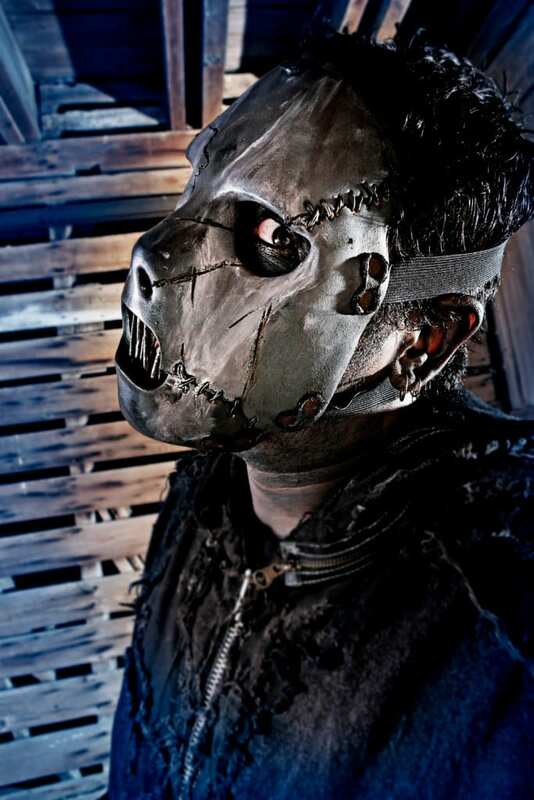 Of course, it’s the images of Paul Gray, #2, with his bandmates that carry particular weight, given his tragic death in 2010. 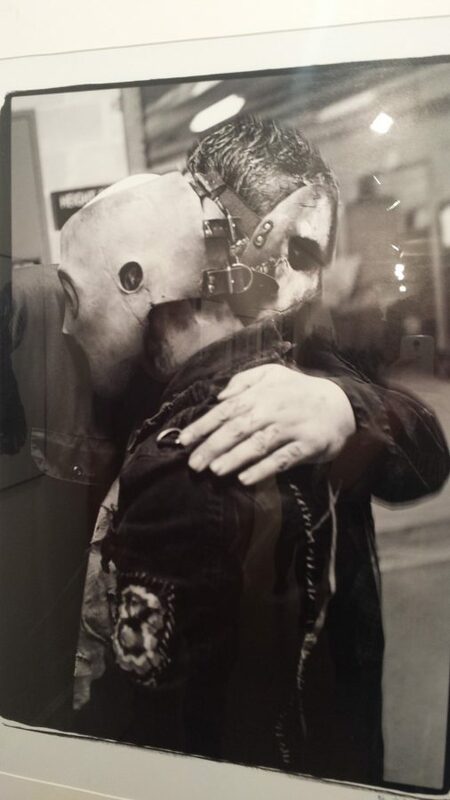 Hanging at the end of the downstairs hallway in the Strand Gallery, this moment between Paul and Corey Taylor is one of the highlights of the collection. The ‘Slipknot: Dysfunctional Family Portraits’ gallery is open from Monday to Sunday 11am – 6pm and is free for any dedicated maggot to enjoy. Find out more at the Strand Gallery website. We would like to say a big thank you to Paul Harries, the Strand Gallery and the people at Proud for providing these amazing images. 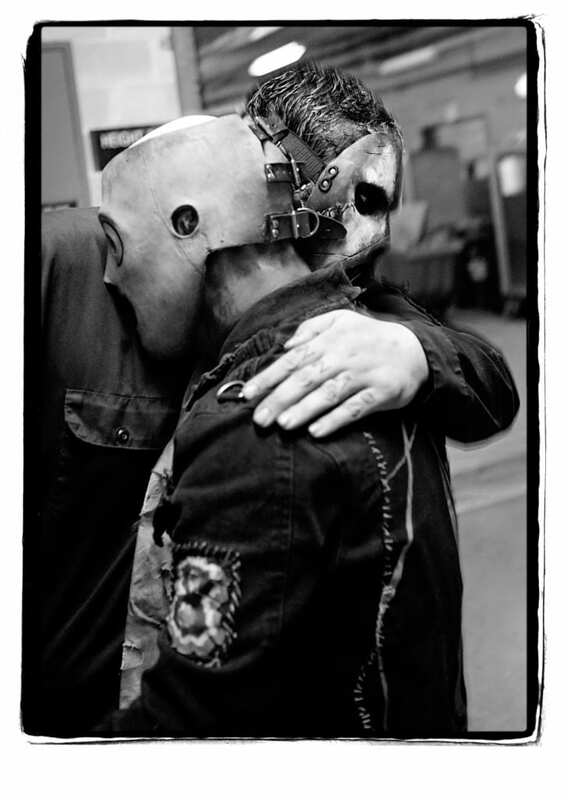 ‘Slipknot: Dysfunctional Family Portraits’ is endorsed by Slipknot and is published by Omnibus Press.